My latest PopMatters piece this week is about growing up. There is something about the "coming of age" story I find endlessly compelling. Maybe it's the fact growing up is clearly a process we never quite, well, grow out of. At least I haven't. Everywhere you look in games you have characters learning new things, growing stronger, embracing their new found power. There are children's stories everywhere in games. But still, there are not many stories about being a child or a teenager, especially a child or a teenager growing up today. I can't imagine the different types of social pressures that must weigh down on teens in the internet era. 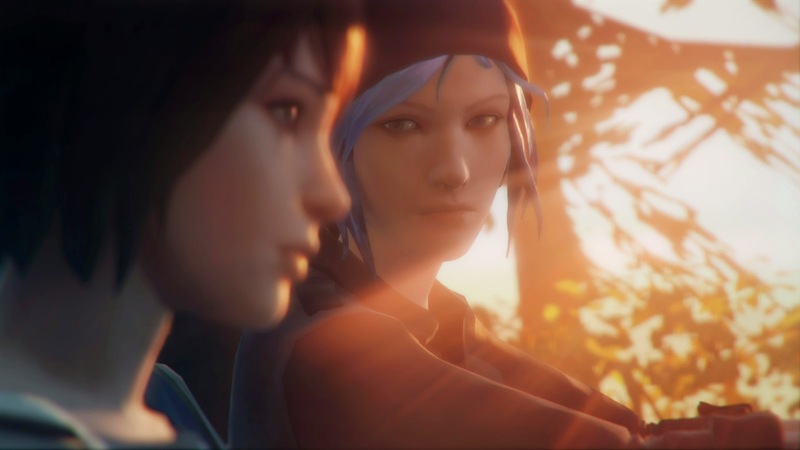 Life is Strange actually does a pretty good job of setting the proper modern backdrop to the story. The threat of a someone posting a drawing of you on facebook is a significant outcome of your decision in the game, and snooping on someone else's social accounts is a good way to gain information. Even the amount of texting between friends in Life is Strange is something I certainly never had to deal with when I was young. Even so, the game moves beyond a simple coming of age high school drama, even in the first episode. Max is already stricken with an unhealthy blend of regret and nostalgia. Her relationship with Chloe is defined by actions she cannot amend with time travel and that burden, the sense she is to blame for her lot in life, sits heavily on her shoulders. Regret is a rare emotion to wrestle in games and I commend Dontnod for trying.